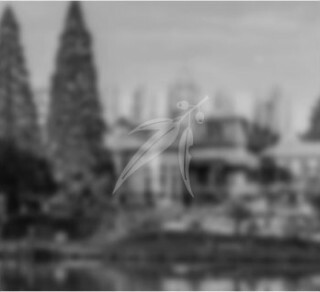 Discover the many stories of Latrobe. Discover the story of Latrobe’s pioneers at the Court House Museum, located just ten minutes’ drive from the Spirit of Tasmania terminal in Devonport. 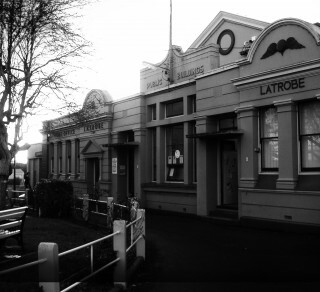 Through changing displays and a fascinating photographic collection, visitors to the Court House Museum can learn about the town of Latrobe, and its role as the centre of a rich agricultural and forestry district. 1pm - 4pm Tuesday, Wednesday, Thursday & Friday. Other times by appointment. The date of this silk scarf is unknown, but is thought to be from the 1940's. The scarf has been embroidered with semaphore flags and the alphabet around the border and the words “Long May He Wave”. Allied soldiers bought these souvenirs to send home to their mothers, sisters, and sweethearts. This image from the collection shows Gilbert street flooded. There are six men on a horse-drawn cart and one man and two youths in the foreground, up to their knees in water. This photograph was taken on 27 May 1893. This musical box was manufactured in France in 1885. In Victorian times death was a constant narrative. The diorama depicts an astrologer as a skeleton, a reminder that we will all die one day. The musical box is in working order and plays excerpts from Bizet’s opera “Carmen”.